NUS Legs and Paddles 2019 | JustRunLah! The event comprises of both competitive and non-competitive categories. It is scheduled from 8am to 4pm. The only Kayak & Run biathlon in Singapore is back! 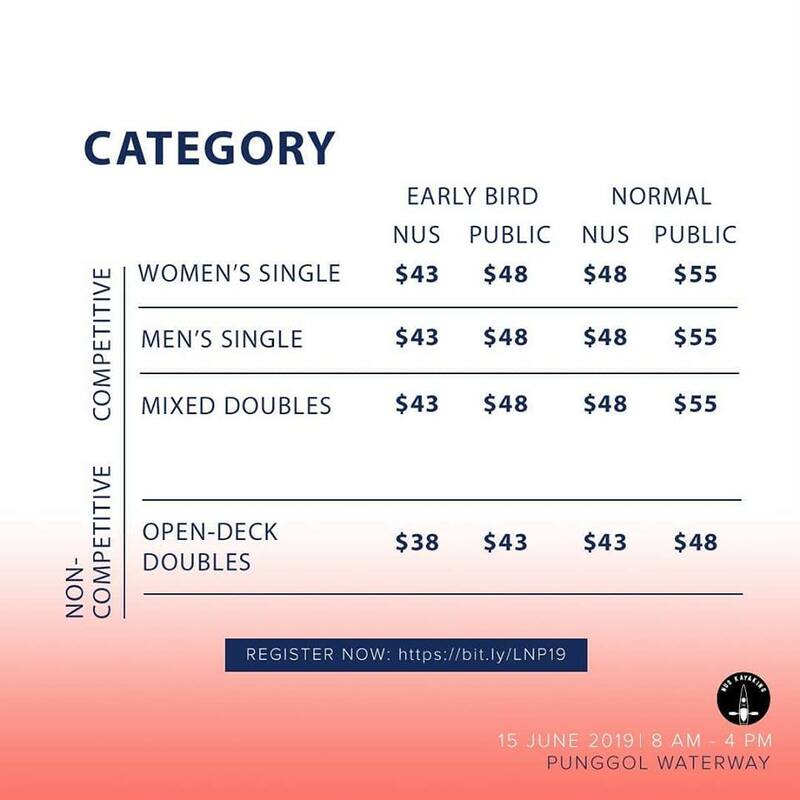 NUS Legs and Paddles 2019 returns once again, this time being held at picturesque SAFRA Punggol. It has both a competitive and non-competitive category for you, regardless of your fitness level, to challenge your limits! Follow us on on Facebook and Instagram for more information!